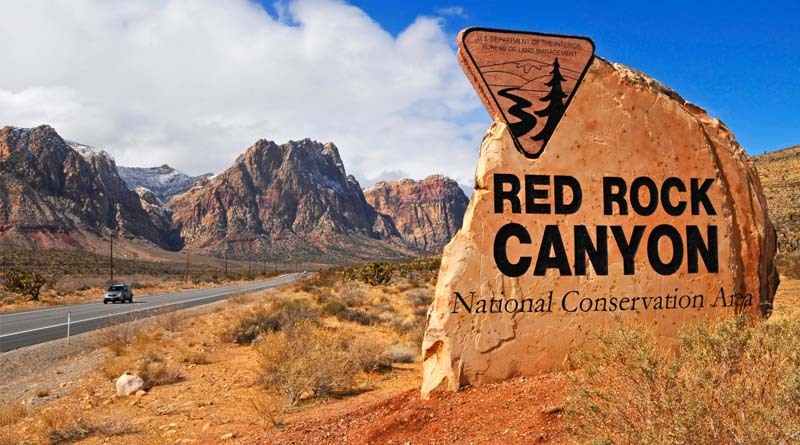 Take our Red Rock Canyon Limo Tour and enjoy the wildlife, the rock climbing trails, and the spectacular views. The 13-mile tour is perfectly enjoyed by families and group of friends. Lasting for 4 hours, this trip provides you an excellent opportunity to spend some time away from the city hustle bustle. Get a chance of getting closer to nature and take pleasure in the red-hued vivid landscape. Take a luxurious ride through this loop of red rock and get the opportunity of clicking some fantastic pictures of scenic views. The wildlife lovers will just fall in love with the incredible mammals including rabbits, burros, bighorn sheep, coyotes, etc. They also get the opportunity to find a few wild horses, mountain lions, and bobcats. The birdwatchers can see the golden eagles, red-tailed hawks, hummingbirds doing their thing. The Red Rock Canyon also is a perfect destination for adventure seekers. They can find a number of trails and hikes. There are also a few cliffs reaching 3,000 feet that provides a perfect opportunity for mountain climbing. This astonishing beauty is located just 15 miles away from Las Vegas and it serves to be an ideal picnic spot. You can find some of the amazing arrangement of limestone and sandstone formed by earth’s crust collisions. These include rock faces and crimson sand dunes that embed dinosaur fossils. You also get to visit the museum, visitor center, and turtle habitat in our Red Rock Canyon Limo Tour. Carry a telescope with you to see the magnificent contrast between grey limestone and red sandstone forming the beautiful Canyon. So, if you want to get away from the lights and distractions of the city, book our Red Rock Canyon Tour today. We ensure your ride to be relaxing, smooth and enjoyable.